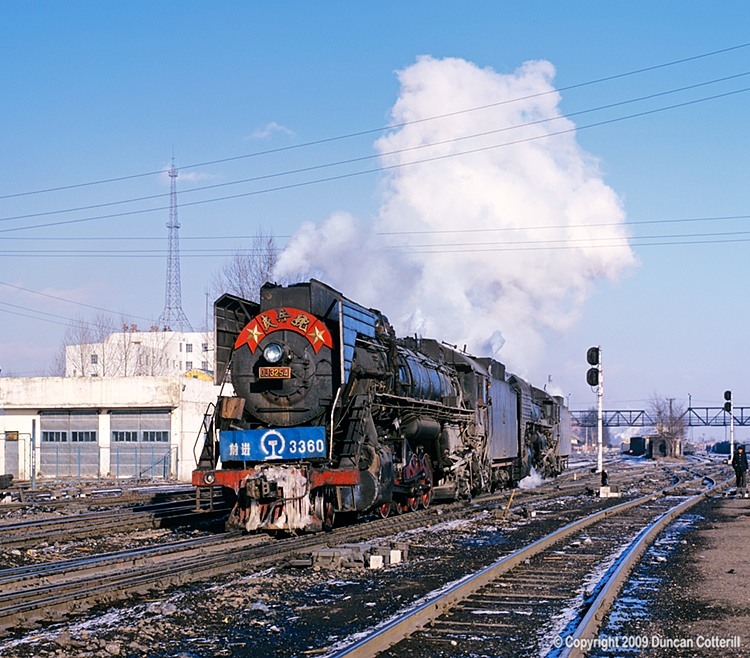 This picture shows QJ 3254 and QJ 3414 running through Bei'an yard light engine after arriving on a freight from Suihua on 14 March 1999. The blue board on the front of the leading engine had been borrowed from another member of the class. I wonder which one?